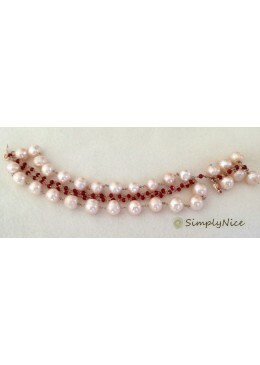 925 silver multi-threaded bracelet, external rose flower pearl and inner Swarovski garnet Color. 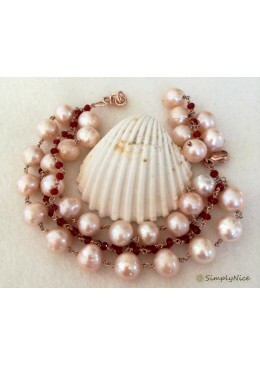 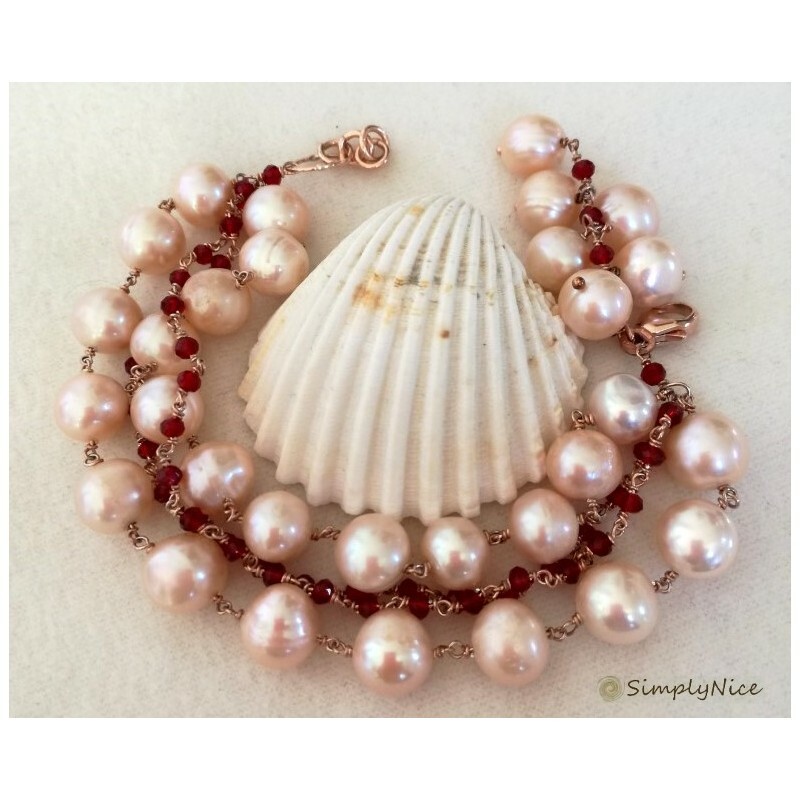 The bracelet is made of 2 wires of 9 mm diameter pearls, faceted on a silver copper chain, and 2 inner faceted Swarosky of about 4.5 mm in garnet color. 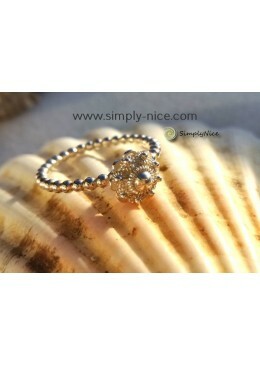 The wires are gathered in a single ring that ends with a loose engagement ring. 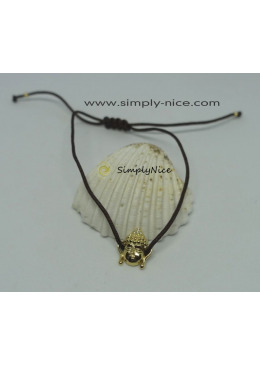 The bracelet can be extended of 3 cm. 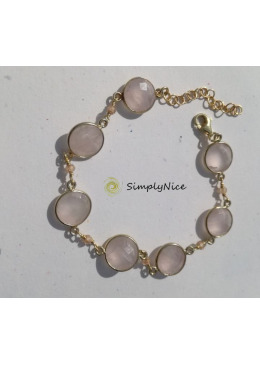 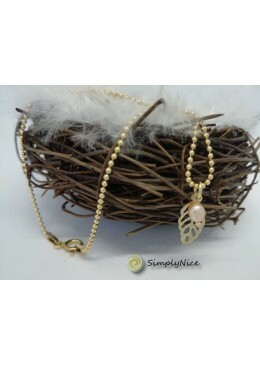 This objects are part of a selection made from Simply Nice Jewellery. 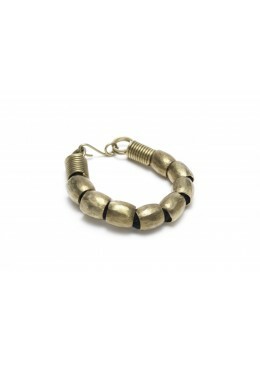 The Silver makers are coming from a region around Arezzo (Italy), the stones come from different parts of the world. 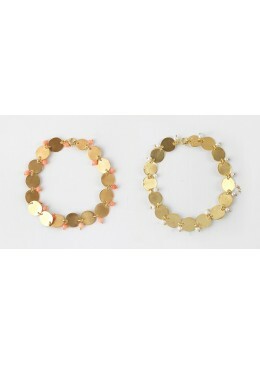 The Silver is Italian and recycled, as far as possible. 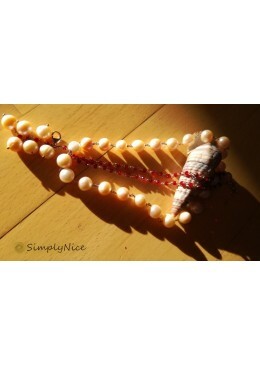 Would you like to receive exclusive information and news about my collection? 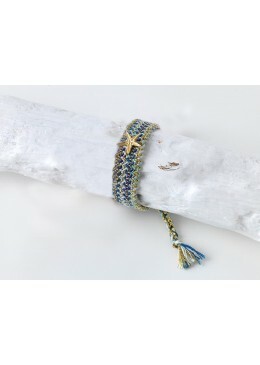 Subscribe for free to the newsletter and get a 5-EURO-voucher on your next purchase!